Alrighty then! This topic seems to be well discussed and asked about. I know we have bought and returned a ton of flash accessory crap so it takes a while to figure out what works for you. And I can tell you that a Gary Fong tupperware modifier is NOT the best option. Please use the links to see what I am talking about, and if you use that link to rent from www.borrowlenses.com it helps me do these kind of posts! 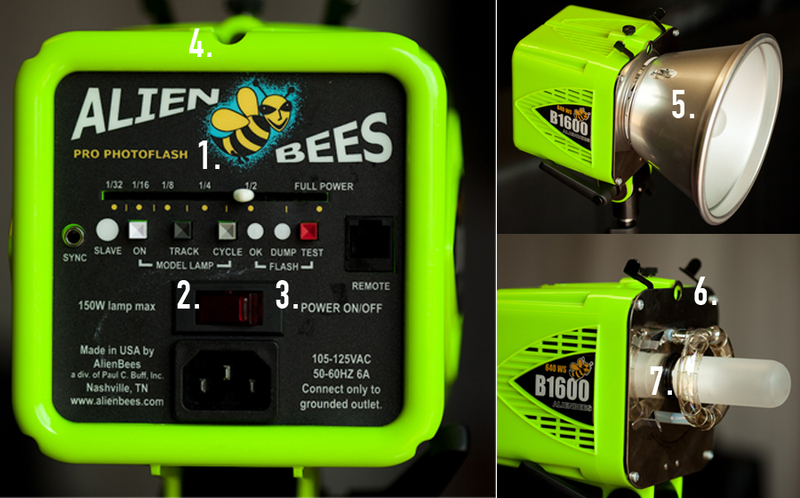 So this is an Alien Bee B1600 which is the most powerful cheap manual flash they have and retails for $359.95. Comes with everything you see including the cone. So here’s a breakdown. 1. This is the power slider. Pretty self-explanitory, just slide for more or less power. Recycling time is 2 seconds after a full power discharge. Considering it’s *about 4 times more powerful then a 580EX II, that’s pretty darn good. Also if you didn’t know, the less power you need the faster it is to recycle. This means if I use the AB1600 at 1/4 or under the recycle time is basically instant which is a huge plus! Especially when Holly and my trigger happy fingers are shooting from the same light. 2. This is the model lamp toggle. #7 which is the actual bulb that lights up for constant light. This is mostly for studios where they turn down the lights to cut down on unwanted ambient light. This way the light stays on like a lightbulb in between flashes so you can see your subject and auto focus. The track button dims and brightens the modeling light depending on the power slider, and the cycle button lets you know when you have full power. After a big flash the model light dims, then gradually brightens until you have full power again. If you are using the vegabond portable battery it is recommended you don’t use the modeling lamp as it degrades the battery very rapidly which I learned the hard way. 3. These tell you what’s going on with your light. the OK light is red until full power is ready to go, and is green when full. The dump button lights up when you turn the power on but that power is not discharged yet so your flash will be brighter then intended. Just hit Test to discharge a flash quickly or just to make sure it’s working. The sync plug is where your MM1 sync cord goes to your pocket wizard. 4. this little hole is for an umbrella stalk if you chose to use one. 5. This cone is the standard attachment that comes with the unit. 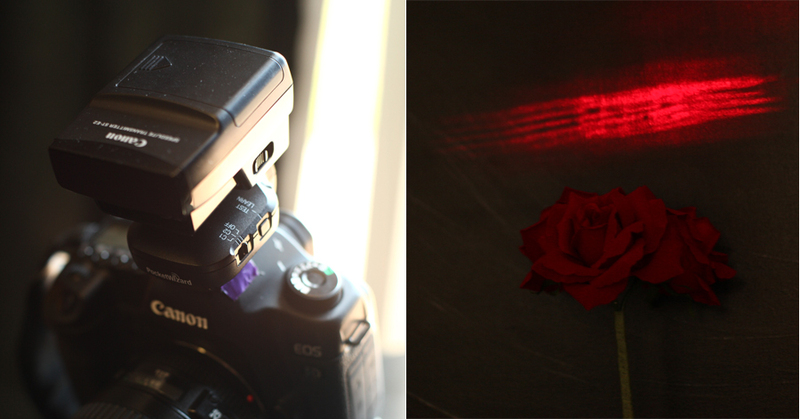 Not too soft, but small and works when you don’t want to drag out the softbox for a quick shot… Works ok in a pinch. 6. These little pinchers compress 4 little clampers so you can slide on a light modifier and then lock it in by releasing the pinchers. 7. This is the main blub that is putting out all the power (and it’s a lot of power! It is very quick to expand and clip on, and has been pretty durable. Just peel back some of the velcro and attach the two pieces. Balance is not an issue with the AB since it sits back unlike the White Lightning which has the stand attachment in the middle of the longer and heavier unit creating balance issues. With any light modifier you have a loss of light (which is why a more powerful flash always comes in handy) This softbox is rated for a 2 stop loss (i think) some modifiers lose more but that’s pretty standard. PS: If you are going to rent the White Lightning unit (which is basically the same as an AB) make sure you get a MP1 sync cord or you won’t be able to connect it to your pocket wizards. You can find other things to use on their site, but this has been the quickest for us which is ideal since we move around a lot. I also want to try a beauty or moon dish. One thing that is essential for bouncing off reception ceilings is a snoot. They have ones you can buy but they are expensive and you loose a lot of power. I made one myself and while I am not done yet, it’s much better then nothing. Pretty easy to make. Just took two thick pages from Holly’s sketch book, cut out the top and bottom for a snug fit, and painted it black so no stray light spills out of the front making unwanted shadows since I stand in front if it. I will eventually make a metal one with a grid inside to direct the flash even more but this does the trick! The other flashes we use are 2 580EX IIs and a 430EX II when the others are taken up. We don’t believe in shooting in the standard eTTL mode so when I turn them on i hit the MODE button and go right to M for manual. usually for receptions I start at 1/4 power and adjust from there. If I am bouncing I usually set it to 70 to 105mm to keep the beam focused until it hits the ceiling and disperses. The Pilot light is just saying when it’s ready to fire at the set power amount. To test batteries for this unit I set it to 1/1 (full power) and hit the button. If it’s not recycled within 4 seconds, the batteries are best to be replaced. The front contains the ever helpful AF assist beam and the infrared triggering unit, which I find way too inconsistent since you need a line of site for it to work. I am trying hard to figure out a way to make an AF assist beam work with the Pocket Wizards… more on that later. The benefit of buying a 580EX II over a 430EX II is 1. More power and faster recycling. 2. 580EX II has booster and PW connections. 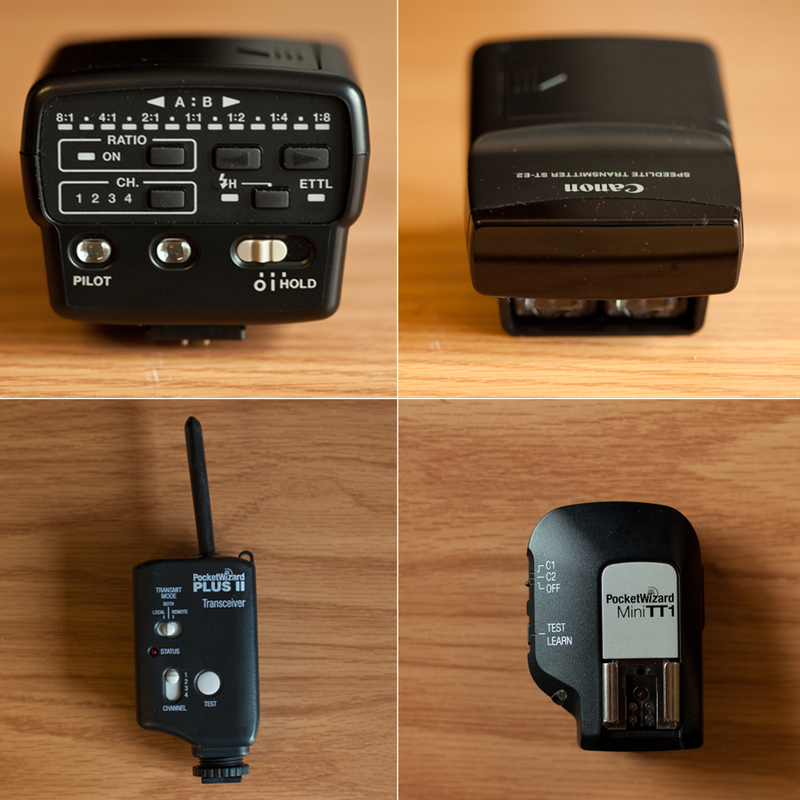 With a 430EX II you need a hot-shoe sync cord adapter for about $50. 3. The 580EX II flash head swivels more ways which is very helpful for shooting details, downward with the flash backwards and up. If you can spend the money, the 580EX II is very worth it. But a 430EX II should do fine and is better then nothing! A good tip for the 580EX II while using it on a stand: Set the custom functions to no auto power-off as it can be very frustrating if you go more then 5 minutes without a trigger. Just make sure you turn them off at the end of the night or it will be dead by morning. Just hold the C.Fn button and go to C.Fn 01 and use option 01 to disable. The Bottoms are our Plus IIs (of which we have 3.) Also our Mini TT1 . 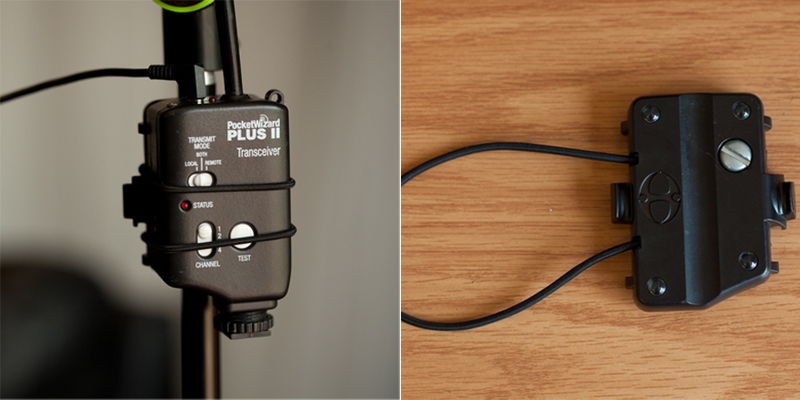 While the Plus IIs can be used as both a transmitter (on your camera) and receiver (on your flash) The Mini TT1 is for on camera transmitting only. As for pocket wizards, I think the whole TTL features are stupid since we decide what flash output we want so the Plus IIs will be fine for everyone and everything. They are pretty simple though, as long as your channels are the same and you are within 1600 ft. you should have no problems! Above is the Canon ST-E2 which uses canon’s Infrared triggering system which as I said earlier, is way too inconsistent for me. What IS sweet is that it has the AF assist beam which I despeatly need in many receptions. Problem is the pocket wizards don’t offer that. So I am working on how to get the best from both worlds. I bought the Mini TT1 both because it is smaller to mount on my camera, and for hope that I could use with the above Canon ST-E2 which has AF assist. I am still working on that but here is what it looks like together. For some reason I can’t get the pair to trigger all the units on the triggered channel, and being higher then it was designed for, the aAF beam is slightly above the center focus area. For example if I wanted to focus on the flower and the center AF point was on it, the beam is too high to be seen. So I am working on a fix for that, but it sure is a problem that needs to have a solution! Here is a good thing to help your PWs stay on your lightstand. You can get one here. This is also pretty cool to get some different flash colors for creative lighting (Gel Filters) Just put it right over the flash and you have some color to work with! Lightstands are pretty generic, I wouldn’t spend much more the $60-70 for a sturdy one. Also for good softboxes you can use for flash guns like a 580EX II or Sb800 check here for what I know to be for the best option. That’s all the equipment knowledge I can think of for now hope it thoroughly swelled your brains enough to wait for the next post about using flash with your other settings and how to get a look impossible with natural light! P.S. If you want to keep me motivated to keep doing these technical articles then you are going to have to help ME help YOU that means anything you buy from the links you click including the one below helps me have time to do what I do! So spend all your moneys! But seriously borrowlenses.com is the only place i rent equitment and has been great from prices to customer service. Please give them a try and you won’t regret it! Margo Stewart - Yep. Brain is swelled. I’m all verklempt. Talk among yourselves.